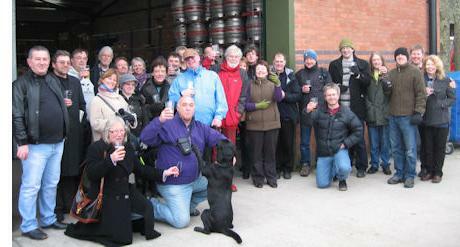 Welcome to the website of the Herefordshire branch of the Campaign for Real Ale (CAMRA). Our branch covers the delightful county of Herefordshire which is renowned for its hop fields and orchards. CAMRA is an independent, voluntary, consumer organisation which campaigns for real ale, real pubs and consumer rights. Membership is open to all individuals and currently stands at over 160,000. CAMRA is governed by a voluntary unpaid national executive, elected by the membership. There are around 200 branches covering the UK and many of the branches run local beer festivals, publish local newsletters and run social events to pubs and breweries. Although we are a volunteer-led organisation there is also a small professional staff of twenty five responsible for central campaigning, research, membership services, publishing, marketing and administration. 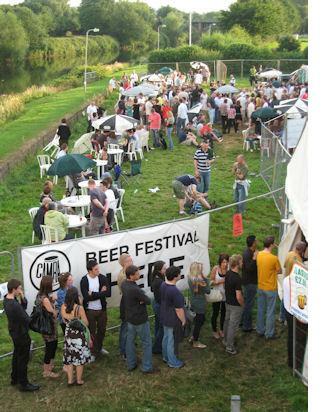 CAMRA is financed through membership subscriptions, sales of books and by the proceeds of beer festivals. We are a not-for-profit company, limited by guarantee and our accounts are lodged annually with Companies House. On this site you'll find an introduction to CAMRA and its current Campaigns, plus the benefits of CAMRA Membership (for more detail follow the links to CAMRA's main website). Locally we are very keen to guard against pub closures - if you know of any threat to your local, please read Save your local. Look up who's who in Contact us and check out our current What's On for a range of activities including brewery and pub trips. There are also pages on Herefordshire's Breweries and pubs, with details of our local guide "Herefordshire Pubs" and CAMRA’s national WhatPub website. Please help us to keep this up to date by telling us about changes at your local pub, particularly concerning real ale - Contact us and also help us judge the best pubs in the county through the quality of the beer they serve (Rate your beer). Cider is of special importance to Herefordshire and we list the local cider makers and events concerning Cider (and Perry). We also produce a Newsletter four times per year, which is distributed free to over 250 pubs. We welcome contributions to the web-site or newsletter such as a write-up of some of the branch activities, or your memories of Herefordshire's pub, brewing or cider making heritage, or any topic on the subject of real ale. Please let us know if you can help us get the newsletter to your local. For the latest national news, press releases and member information, visit the National CAMRA Website. There are Links to adjoining CAMRA branches. CAMRA also supports local sourcing of beer.